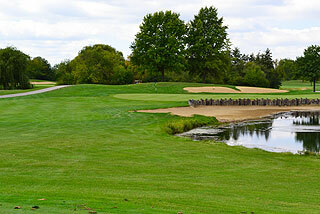 Located in southwest suburban Oak Forest, George W Dunne National offers the unique features of bent grass fairways and greens. 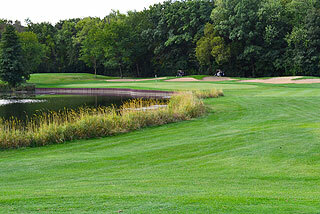 Players of all skill sets can enjoy the challenging terrain that Dunne National offers. Eight lakes, which come into play on eleven of the course's holes, tree lined fairways plus an abundance of native wildlife help make this a memorable experience. 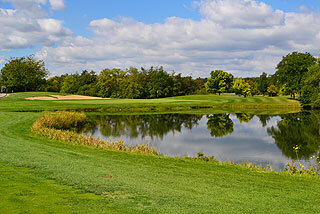 Golf Digest has recognized Dunne National as one of the top public courses in the state. 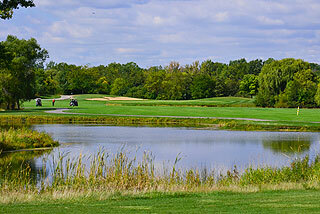 The facility includes an 18-hole, 7,262 yard championship course, clubhouse, and practice facility. The clubhouse features a stocked pro shop, bar and grill with breakfast and lunch items, and an outdoor area used for banquets and outings. 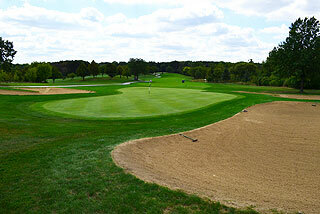 Practice facilities include a targeted, lighted driving range, and a short game area used for chipping and putting. Four sets of tee boxes play to distances and slopes measuring 7262 yards and 142 slope, 6677 yards/136 slope, 6148 yards/130 slope, and 5452 yards with a slope of 126 for women who play from the front tees. 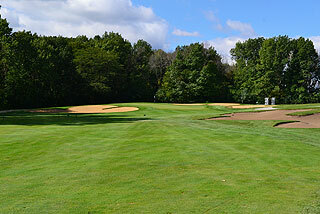 The layout features long par fours (all over 400 yards long other than the 392 yard long 8th and the 394 yard 16th). In total there are 66 sand traps situated near fairways and greenside, and water comes into play on 11 holes. The landing zones are wide with plenty of room off the tee, but fairways and greens are protected well by large intricately shaped bunkers. 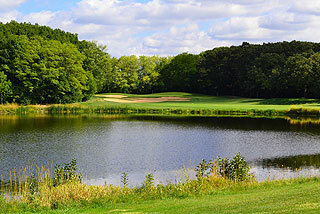 The terrain is mounded and the fairways are tree lined and surrounded by thick bushes. The large, slightly sloping green complexes are often elevated and surrounded by mounding with challenging rough. 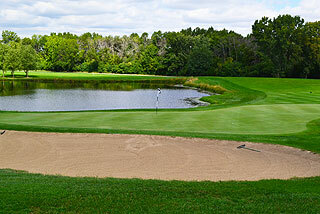 Flatter green complexes are usually accompanied by water that golfers have to negotiate on the approach. My visit came after a week of heavy rains and still, with heavy rough and nicely groomed fairways, course conditions were extremely good. All golf carts feature Pro Link GPS providing accurate yardage to the flag, as well as valuable info concerning bunkers and other hazards. The course is also marked with yardages to the center of the green from 100, 150, 200, and on par fives and longer par fours, 250 yards. Color coded flags provide golfers with a front, middle, or back pin placement. Nice course - very good value - highly recommended. For more info, visit our page for George W Dunne National, with direct link to their website by clicking here.